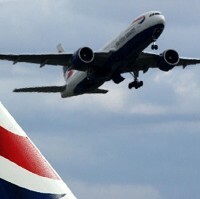 New figures released by British Airways have shown a 10% rise in family bookings from Gatwick airport in 2011. In July and August, some 7,000 child meals are expected to be served on British Airways's flights from Gatwick. The airline's young customers will also be given 26,000 Paddington Bear Skyflyer packs. Gatwick Airport has rolled out a number of family friendly initiatives to make journeys less stressful to travellers, under the Family Friendly scheme launched by the Family and Parenting Institute, becoming the only airport in the UK to join the programme. Stewart Wingate, chief executive of Gatwick Airport, said: "We're going out of our way to make their journey through the airport more enjoyable." Holidaymakers should take out a good travel insurance policy before heading away.